My wife and I are considering a Chrysler 22 that has been offered to us. 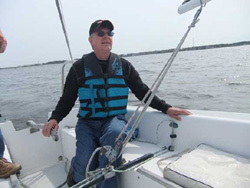 We have little to no boating experience other than sailing Lake Michigan with a friend who hooked us on sailing. The boat comes with a trailer and is currently in a slip. The asking price is $4k which comes with the slip for the remainder of the year, a $1300 value that we wouldn't be using since we'd put it in the lake near us. At this point I'm not sure if we can get any money back for the unused slip. 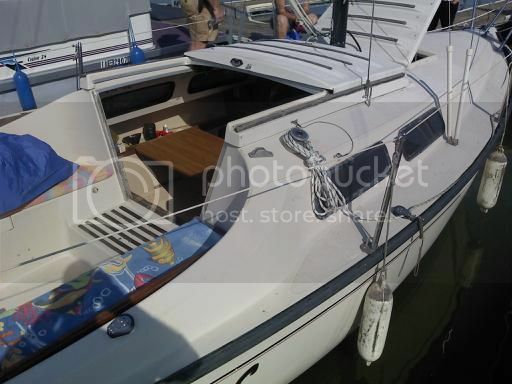 Does anyone have advice for us as far as what to look for and if the price seems fair providing the boat is in good condition? I did see it in the marina last night but will get a formal viewing tomorrow evening. 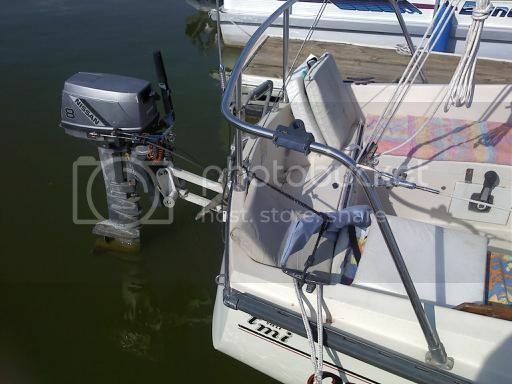 It has a Nissan outboard with the prop sitting in the water - I figured they would at least have it dry. Is that customary to leave the prop in the water? When back to a computer i can offer more but the good folks here can help ! Hi again Kper...you will find everyone in this forum to be most helpful and courteous, unlike your previous experience in the auto forum. Ask the owner about repairs and upgrades that have been made. 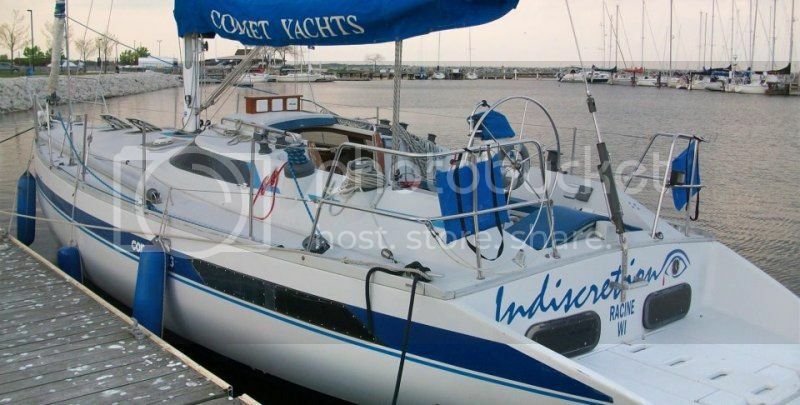 It would be even better if the seller would take you out for a sail. Remember to ask about the swing keel brackets and pin...this is the weak point of our C22's...unless it is one of the rare fixed keel models. Ask how old the standing rigging is...that alone is about a $450 replacement cost. Make sure your wiring is good and all lights work. An be sure to see the trailer. MY OEM is a single axle w/o brakes. I replaced the bearings and races, and bought 3 tires. If none of that has been done recently you'll need it done before trailering, just to be safe. They are great boats but they are 25 yrs old! $4k seems high to me unless she has been kept well and is truly ready to sail. 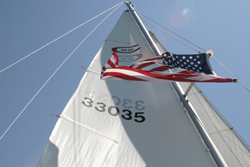 Don't be afraid to offer less if any of the above items need to be done, especially the keel brackets. If you are not going to use the slip, then don't pay for it. Just see what the sale price is for the boat. There are a lot of sail boats for sail, keep looking. An welcome to the forum. We should be taking a look at it tonight but when I took a look at the outside yesterday the first thing I noticed was like Bill said, it was oxidized. Any shine it may have ever had is a distant memory. I figured that was normal for an old boat. I don't even know what it takes to bring the appearance of a boat back to new condition. Is it as simple as painting a car? Let's assume the condition of the swing keel brackets are a mystery. What is involved with their replacement? Is it just heavy work? Are the brackets still available? Possible fabrication to the boat after I completely screw things up?! lol Ok, that really wasn't funny. I was in the old car hobby for quite a few years and the one thing that made it easier was that I could buy just about anything I needed. Are the Chryslers similar or am I going to be searching for replacement pieces and hand crafting or making do with what I have? Thanks, again, everyone. I have made a short list of things to look at. I'll let you all know how it went. As far as parts goes the good news is there's a single primary source for OEM parts, and the bad news is that the source is another boat. ...keel brackets, and rudder posts, for instance are pretty much a 'have it fabricated' part. 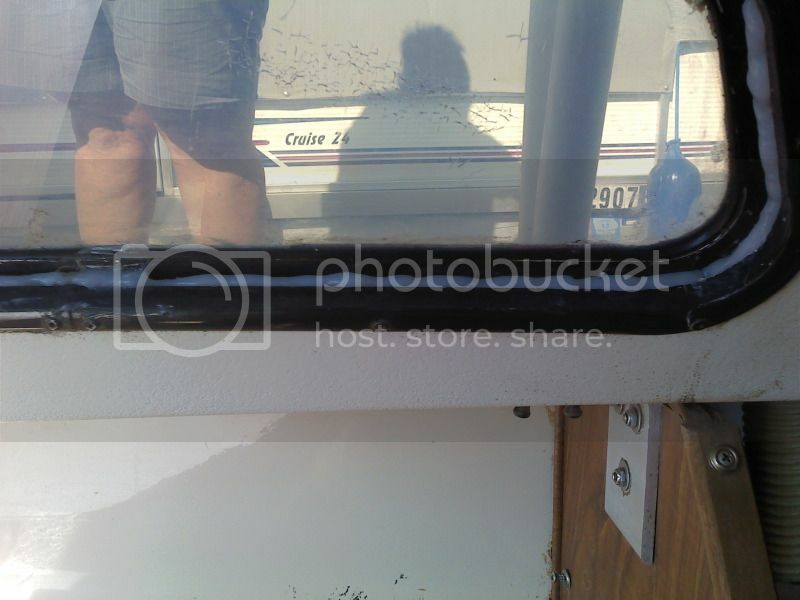 IdaSailor has some items that are a fit,tiller and such, but you really aren't likely to need much that has to be an OEM part, they are a pretty solid and simple old boat. Hull shine-wise a bit of elbow grease and some compounding and polishing material works wonders, and painting isn't too bad with some of the newer smooth flowing paints. Hope the inspection goes well, and any questions you have somebody should have an answer too..
PS - check the manufacturers number on the stern. Should start with CBC and end with the year (as a number) and month (as a letter) of manufacture. I was thinking that 79 and 80 were the last two years Chryslers were made. But if that says 81, then its a 81 ! Thank you! I'll check that number. This is kinda what I was looking for... I have done a little research the last couple days and I have found a couple C22's (one within a days drive that's asking $3k) and I'm thinking it may just be a learning session for us. Ultimately, we'd like something in the 30' range but wanted to start with something we could learn on and trailer home in the winter. I realize it's a used boat but we weren't too impressed. I think I would have gutted it, cleaned it and started over inside. Came with 3 different jibs and the keel hardware hasn't ever been touched but he said it works fine. About a dozen or more screw holes in the ceiling from past items screwed to it. I looked for a number on the data plate but could only make out a model? number... 339. They said they wax it every year but I couldn't tell. Overall it just looked like a boat that had many different owners with many different plans judging by all the screw holes, velcro strips and such. I didn't get any real detailed pics but here are a few non-the-less. I think I see why it is listed as an 81, looks like a "TMI" logo on he starboard side at the stern. 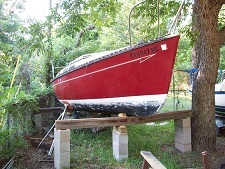 hat would indicate Texas Marine, which is the employee group that initially bought he Chrysler sailboat division, and they made them a couple of years after 79..
Keel will work fine until the corroded brackets and pin give way and the keel falls to the bottom of the lake or remains dangling from winch cable. 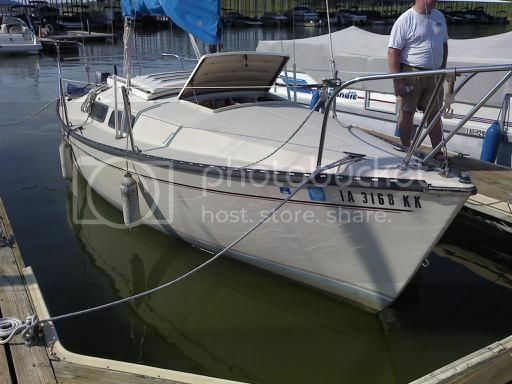 There have been other C22's listed in the last year that were better deals that this one...I figure that any used boat is gonna be some work and I'll tell you that usually it will be way more than you expected...so $4000 is too much. Oh, the thought of knowing my keel was at the bottom of the lake! If anything, this experience has taught us that we need something a little bigger than 22'. Thanks, everyone!... I think we'll keep looking. A little bigger eh... Look for a Chrysler 26 in your area, or maybe a Catalina 25 with the pop top. Catalina are plentiful for a good price, and has lotsa parts available. Let us know how the shopping goes! Being in the car field for 30 years I know what is good and what to stay away from but this boat business is all new to me. I see plenty of what I would consider good deals near the Great Lakes but for all I know they are the Pintos and Vegas of sail boats. I had a friend tell me to check out the Catalina 30 but I have yet to see any Catalinas first hand. I'll give them a look, thanks! Here is what lit the fire for my wife and I. Spent 3 days on her in Lake Michigan and at 42' it's kinda hard not to want at least a 30'! Champaign taste on a beer budget! It was a first time experience for us both and we were hooked before we left the harbor. A coworker of ours owns it and since none of our friends wanted to pilot I had the wheel all 3 days... learned a lot and by the 3rd day 42' didn't seem all that long. Yes, it's amazing how fast a boat shrinks! The 22 you are looking at is not a 4000.00 boat. You should be able to pick up a boat in that condition for around 2500.00, and that may be too much. These Chrysler's are good boats, sturdy, well built, and worth while projects if bought at the right price. One could easily get way more money in one of these than one meant too. If you are just looking at a steeping stone, I wouldn't rule out any of the (forgive me fellows) Macgregor's. Although light and not quite as well built they can be had on the cheap. They are fast boats, and most come with the pop top which makes a 22-24 foot boat very usable for overnighting. 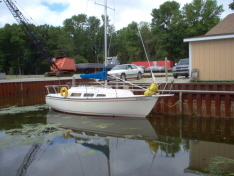 I had a 24 footer and can speak from first hand experience, we sailed that boat for about six years with no problems. Good luck again. Jmckamey wrote: Yes, it's amazing how fast a boat shrinks! 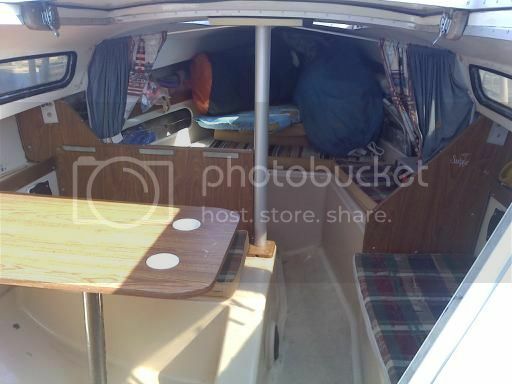 I'm also learning pretty quickly that if we don't mind having one shipped to our area we can get a lot more boat for $4k than what we looked at in the original post. One of my friends at the marina just bought a 30 footer for 4,500.00. Real nice older boat with a diesel. It's just as easy to learn to sail a big boat as it is to learn on a small one. Maybe easier, as the big boats ride better and are a lot more stable, but you ain't gonna trailer one. I suppose I don't need to trailer it, I was just didn't want to dish out an exorbitant amount of money for (outdoor) storage fees during the winter. Indoor storage is not available. Thanks, Lyle, I'll start surfing Yachtworld! 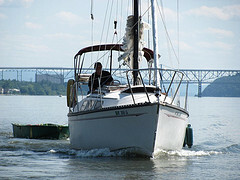 If you don't already know about it, www.sailingtexas.com also has a lot of sailboats listed from all over the country. 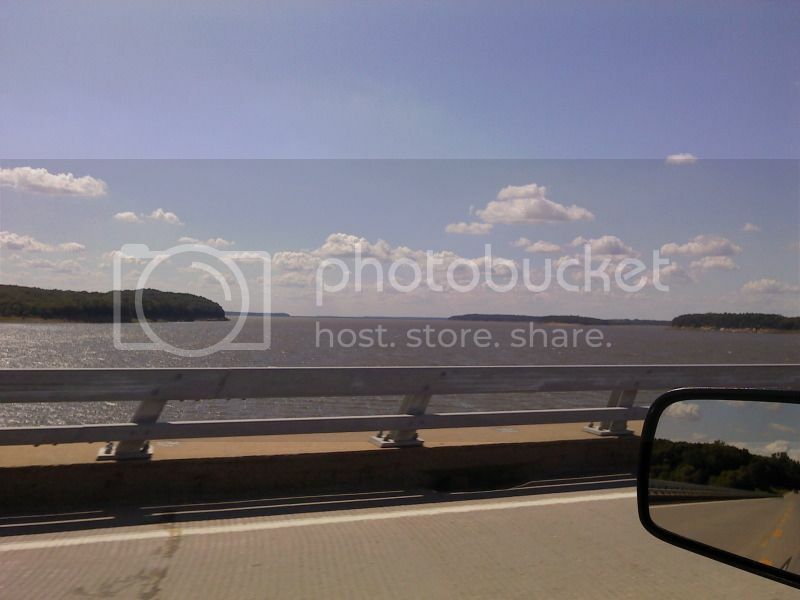 A lot of pics there too.